How can I manually sync an exchange connection? 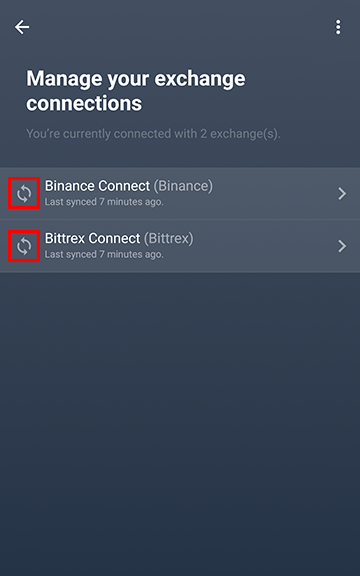 To manually force a sync with an Exchange Account Connection, simply tap on any of the double curved arrows to the left of the connection name (as indicated by the red box below). Please keep the app open as the sync happens.